You've mastered many languages in your career: SQL, C, C#, ASP, Java and more. But would you have been enough of a polyglot to crack the code of the Rosetta Stone? 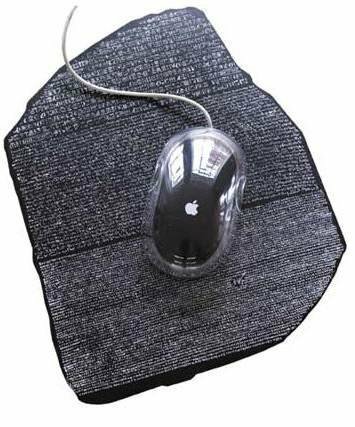 Pay a tribute to the genius of those who did with this Rosetta Stone mouse mat, £8.99 from the British Museum. Check out our selection of chic geek gifts for the home and office this Christmas - stylish tech-themed presents for the IT professional. See also: Chic geek gifts for him and Chic geek gifts for her.